Arlington Cultural District invites businesses to join innovative program. 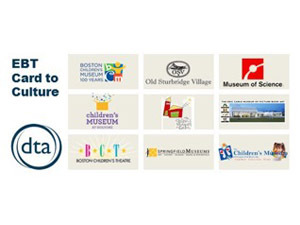 Artbeat Creativity Store and Studio is pleased to announce its participation in the Mass Cultural Council’s Card To Culture, a program designed to make access to the arts accessible and affordable to individuals and families receiving transitional assistance from the commonwealth. The Arlington Cultural District Managing Partnership encourages all businesses in Arlington, both for-profit and not-for-profit, to find ways to engage in the program. Businesses can find more information posted on the Arlington Chamber of Commerce website, arlcc.org , and can sign up at www.mass.gov/cardtoculture . (ARLINGTON, MA) The Arlington Cultural Council (ACC), a program of the Massachusetts Cultural Council (MCC), announces the 2019 season of grantmaking. ONLINE APPLICATIONS will be available on September 1 for projects occurring between January 1 and December 31, 2019. Arlington continues in the MCC pilot program — awarding grantees their funding upfront, rather than waiting for reimbursement at the completion of the project. Organizations, schools and individuals may apply for grants that support cultural activities in the community. Examples of artistic projects and activities include exhibits, festivals, field trips, short-term artist residencies, workshops, lectures and performances in schools, community centers and other public places. Thanks to arts advocacy and the state legislature’s override of the Governor’s line-item veto, $16 million is MCC’s FY2019 allocation to the Local Cultural Council (LCC) Program, a $2 million increase over last year! ACC’s 2019 allocation from MCC is $13,700, up from $12,300 last year. CALL FOR PROPOSALS: ONLINE ONLY applications to the ACC for community-oriented Arts, Humanities, and Science programs are due by 11:59:59 pm, Monday, October 15, 2018. For specific guidelines, complete information and to apply, please go to www.mass-culture.org, click on “Applicants.” ACC 2019 Guidelines are also included at the end of this Press Release. An informal grant information session with co-chairs Kimberley Harding and Lisbet Taylor will be held on Monday, September 17 from 7-8:30 pm, Arlington Senior Center, 27 Maple St. in the Art Room. 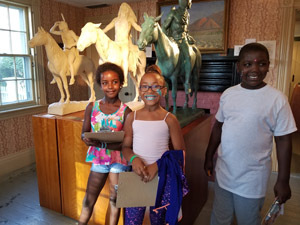 About ACC: The Arlington Cultural Council distributes funding from the Massachusetts Cultural Council, a state agency, to support arts, humanities and interpretive science projects that benefit our community. The ACC is actively seeking new members to join its group of dedicated volunteers. Of special interest are people with experience in graphic design and/or fine arts. Those interested in joining the Council in any capacity should email ACC at arlingtonculturalcouncil@gmail.com. Monthly meetings are open to the public (generally second Mondays, 7:30-9 pm). The next one is Monday, September 10, from 7:30-9 pm, in the Arlington Town Hall Annex, 1st Floor Conference Room. The Arlington Cultural Council is part of a network of 329 Local Cultural Councils serving all 351 cities and towns in the Commonwealth. The LCC Program is the largest grassroots cultural funding network in the nation, supporting thousands of community-based projects in the arts, sciences and humanities every year. The state legislature provides an annual appropriation to the Massachusetts Cultural Council, a state agency, which then allocates funds to each community. CONTACT: Corresponding Secretary at ArlingtonCulturalCouncil@gmail.com. The ACC will award grants to individuals, nonprofit organizations, and community groups for Arlington-based projects in the Arts (including dance, music, theatre, visual arts, and crafts), Humanities (including history, literature, social studies, and philosophy), and Interpretive Sciences (including activities that connect science to everyday life and provide access to information about science and technology). The grant process is competitive, and each year the ACC receives more in funding requests than it has means to grant. Grant awards typically range from $250 to $1,500, with an average grant award of $500. In most cases, only partial funding can be awarded. In accordance with state guidelines, ACC funds are not intended to replace existing public funds for programs. Awards will be announced in January 2019, and projects must take place between January 1, 2019 and December 31, 2019. The ACC will give priority to projects with a strong and significant community benefit component, whether that be an exhibit, festival, public art project, performance or a proposal to benefit or include an underserved population; led by Arlington-based artists and cultural organizations; planned in collaboration with other Arlington-based groups, agencies, organizations, and businesses; appealing to inter-generational audiences; and proposals demonstrating other sources of financial support or matching funds. a) Artistic and creative merit must be clearly demonstrated. b) Arts and humanities qualifications of applicants should be clearly illustrated in the request by including resumes, biographies, and/or related press materials about project leaders. d) Applications that include a public performance: please show evidence of acknowledged contact with the proposed Arlington venue, and where possible, a specific agreement for date, time, and other relevant commitments to the proposed project. Include any required permits or signed releases; this includes police permits; Recreation Department permits; and other affiliated organizations’ event guidelines. For outdoor events, it is strongly recommended that a rain date be scheduled upfront, with appropriate town agency approvals. This should be done prior to submission of the grant proposal. If your proposed project requires State or Town permits (e.g., painting a mural on a building in the Town), please review what is necessary and detail in your application, how you will meet the requirements. The ACC can only provide limited guidance and support in permitting issues. e) If you have made contact with potential funders, submit letters of contact plus any letters of commitment you have received, in support of your application. f) The ACC typically receives more in funding requests than funding available; it is rare that we will provide full funding for a project. Please only request the amount of funds needed to successfully complete the project. g) As ACC funding is not meant to provide continued support, ACC will typically not fund the same project for more than three consecutive years. h) As partial awards are common, please detail how the project may be completed, if full funding is not awarded. If the project cannot be completed without full funding, please state so in the application. i) Please identify prior funding from the ACC (Year; Project; Amount Awarded; and Amount Expended). The ACC will host an informal grant information session on Monday, September 17 from 7:00 – 8:30 pm at Arlington Senior Center, Art Room, 27 Maple Street. All applicants are welcome and encouraged to attend. Applicants may wish to start drafts of their applications before the session, so they can have specific issues addressed by Council members. The ACC will host Presentation Meetings at which applicants will have three minutes to share highlights from their proposals and respond to questions from ACC members. It is strongly encouraged, but not mandatory, that you present your proposal to the ACC. Presentation Dates: Monday, October 29th from 7:00 – 8:30 pm OR Thursday, November 1st from 7:00 – 8:30 pm, Arlington Town Hall, 730 Massachusetts Avenue, Lyons Room, 2nd Floor. A SignUpGenius link will be emailed to you, so you may choose a slot on a first come-first served basis. 2nd YEAR, UPFRONT PAYMENT OF GRANTS! Arlington Cultural Council is continuing its Mass Cultural Council pilot program to eliminate reimbursement-based grants from MCC allocations. Instead, during this pilot program, ACC will be making grant money available in full to grantees upfront, once their projects are approved. If you are awarded a grant, you will be required to submit the Grant Agreement + W9 forms provided, to confirm your acceptance and receive full payment; then upon completion of your program, submit a final report to ACC. ArlingtonCulturalCouncil@gmail.com. Council members also will be available until October 13 at this email. ACA announces a call for artists for I’m New Here: Perspectives on Migration – the inaugural exhibit in the Arlington Center for the Arts’ new Shaira Ali Gallery. I’m New Here seeks to inspire dialogue and learning about issues of migration and immigration as they apply in our community and in the world at large. We seek artwork addressing the themes and experiences of human migration, voluntary or not, for social, political, and economic reasons, and the experiences of resettlement. Themes could include: asylum and assimilation, borders and boundaries, citizenship and crossings, identity/identities, and the meaning of home. We also welcome artwork inspired by different types of migration – broadly defined – including climate change and the natural world, as well as the intricacies of small migrations in our daily lives. Artists are encouraged to include diverse expressions of the concept of “migration,” and we look forward to seeing their interpretations. Artists are invited to submit up to three (3) pieces to this competitive show, juried by Boriana Kantcheva. Best in show – $200, plus two (2) Juror’s choice awards – $100 each. Winners will be invited to participate in a small artist talk with the juror, date TBD. Boriana Kantcheva, originally from Bulgaria, has lived and worked in the Boston area for over 18 years. She has received a BFA from Massachusetts College of Art and an MFA from School of the Museum of Fine Arts and Tufts University joint degree program. She has worked as an assistant teacher at the Carpenter Center for Visual and Environmental Studies where she has received several Harvard University Certificates of Distinction in Teaching awards. 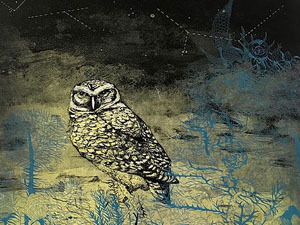 She currently holds a position of Gallery Coordinator at Chandler Gallery, Maud Morgan Arts Center, in Cambridge, MA. Boriana is a member of Bromfield Gallery and her work can also be seen at 13 Forest Gallery. Artists must be age 18 or over. Please note that ACA receives 30% of the price from all sales. Entrants need not be residents of Arlington or members of ACA. if you pay by check, please write “Gallery Fee” in the memo line. 2. Make sure you have paid the $30 Submission Fee. Your submission is not final until we receive your payment. Thank you!